We pick you up from outside the Jurys Inn Hotel, behind Brighton train station and take through the rolling Sussex countryside to Court Garden Vineyard. 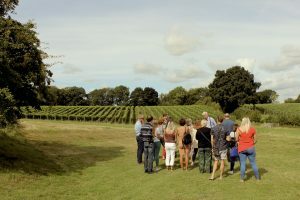 You will be given a full tour of this very pretty little vineyard, walk amongst the vines and be shown their winery where you will learn about English wine production from grape to glass. 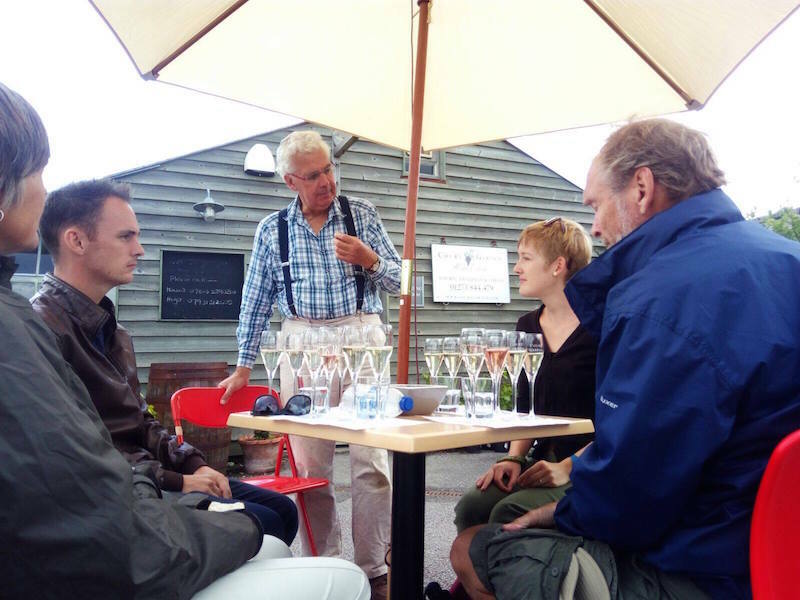 After your tour, you will be shown into their cosy tasting room for a tutored tasting of four award-winning sparkling wines. 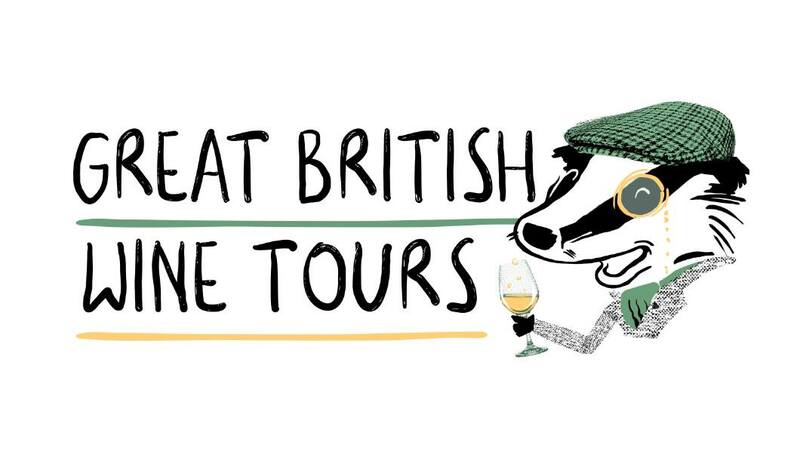 Once you have toured and tasted, it’s off to our favourite country pub for a specially selected menu of local produce. 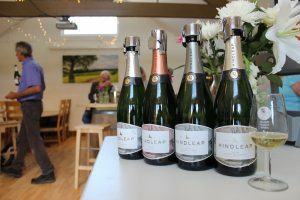 After lunch, we head to Bluebell Vineyard Estates for a stroll round the vineyard and second tutored tasting in their tasting room. 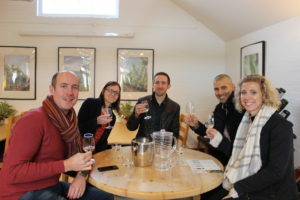 After Bluebell Vineyard Estates, we head to the highest viewpoint in sussex for 360 degree views of Sussex and the sea. A Great British day out! Duration – 10:15 – 17:00 (7hrs) – Timings may vary slightly.